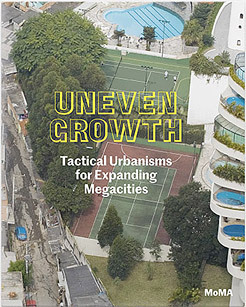 An exhibition “Uneven Growth: Tactical Urbanisms for Expanding Megacities” is hold at MOMA in New york, from November 22, 2014 thorough May 10, 2015. 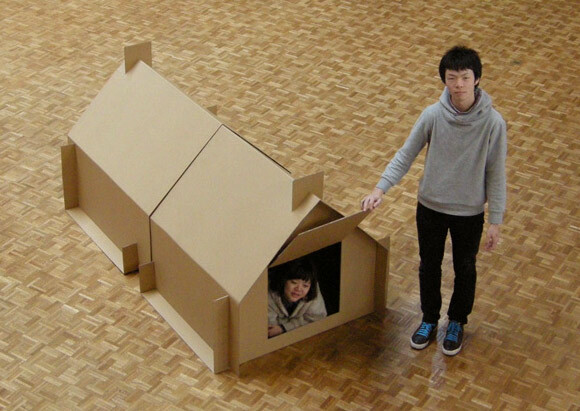 The cardboard shelter 1 is published in the catalog of this exhibition. This shelter is originally designed after the Tohoku earthquake (Great East Japan Earthquake) by Professor Toshihiko Suzuki, Kogakuin University and Atelier OPA, for victims who were forced to live in gymnasium. They can avoid coldness, change clothes in the shelter and keep privacy. What this shelter play a role in the global metropolises where population growth rapidly. It’s time to discuss about narrow houses, its function, mental health and public health. “Uneven growth” site is here.